What Happens During the Sale of a Probate Property? When a homeowner dies without bequeathing their house to an heir, generally an estate attorney has the right to sell the property. The liquidated asset is then distributed amongst family members. 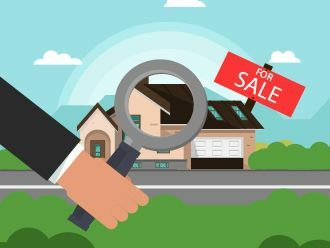 But since a court has to supervise and approve the home’s sale, the process gets more complicated and lengthier than ordinary property transactions. Let’s understand some of the issues that are commonly related to a sale of probate property. Usually, after the death of a homeowner, the person specified in the will or a close member of the family will deal with matters of the estate. The designated person often takes responsibility for the legal affairs after obtaining ‘Probate’ or letters of administration. The Probate enables the individual to act as the personal representative (PR), also granting them the right to transfer or sell the property. The process of selling property through probate has many steps and needs to go through lots of court regulation. The designated executor of the property, the representing attorney of the estate, and the seller’s real estate agent, are all involved in the sale of the property. Everyone must follow the guidelines with specific documentation. Court decisions and oversight must be honored throughout the marketing, offers, negotiations, and sale of the property. Due to the involvement of the court, probate property sales have a different vocabulary for the various disclosure documents and contracts, as compared to regular real estate transactions. During such a deal, your real estate agent should be experienced in probate sales and well versed in the language so he can explain the documentation and the steps in the process. At Metromilwaukeehomebuyer.com, we are well equipped to handle these sorts of situations, and we buy probate houses in Fox Point. If you want to sell your home that’s under probate quickly and without a hassle, get in touch with us soon.